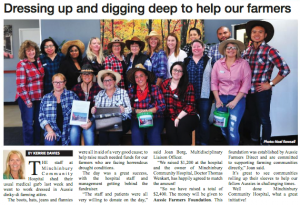 It seems not too long ago that our team swapped their usual attire for something a little different, in support of our drought-stricken Aussie farming community. A big thank you to everyone involved! We ended up raising a total of $2,400 for the Aussie Farmers Foundation.